Since Davide Cerrato took the gig as Montblanc’s top watch guy, the brand’s timepiece offerings have been steadily ramping up, becoming more focused and more appealing. To my mind, Montblanc’s SIHH 2019 saw the brand in high gear, on the inside track and with the intensity of a winner. Two hero collections and a range of watches to appeal to a wide range of tastes. Here are our five picks. 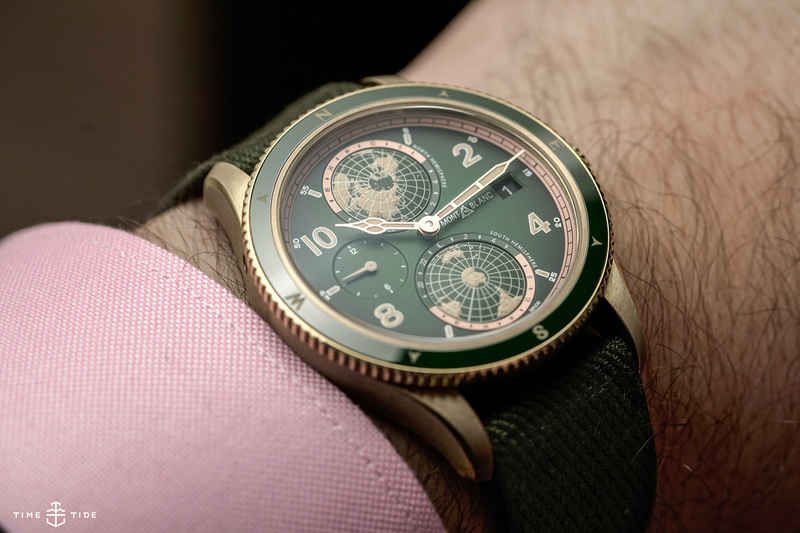 Last year’s complicated two timer was already a good-looking beast of a watch, and this year the Geosphere’s gone green, making it even more Hulk-like. While it might not have the same incredible engine as its Minerva brethren, the 1858 Chronograph, with its bronze case and mossy green dial, is one undeniably attractive piece of kit. While the 1858 family was all about the green, the freshly minted Heritage line is looking dapper with its copper-y salmon colourways. Add to that the complex dial construction and you’ve got a winning proposition on your hands. Montblanc’s meteoric re-emergence into serious watchmaking was its aggressively priced QP. Since then, it’s become a staple of the collection, and this latest version might just be the most attractive yet. This watch is pretty boss, frontside and back. But don’t just take my word for it.